C'mon down to Anaheim, where the sun is shining, the beer is frosty — and you're the next proprietor of this fantastic brownstone where all the Angels fans hang out to discuss the average speed of Andrew Heaney's fastball. 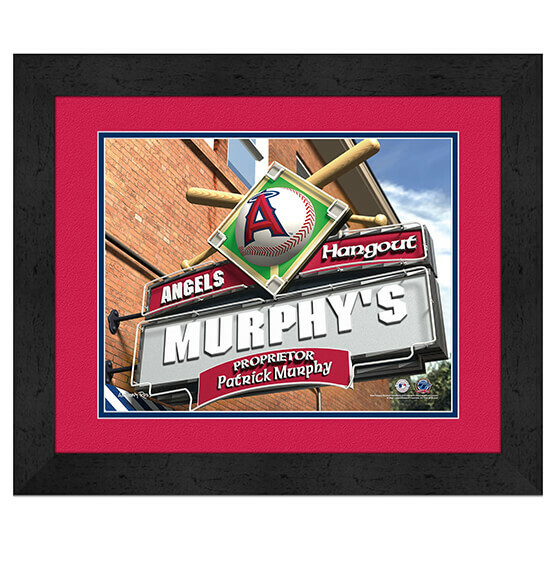 This generously sized framed wall print features the Los Angeles Angels' official team logo and vibrant team colors that will add flourish to any home, office or fan cave. With its brilliant, custom-printed design made to your specifications, this Los Angeles Angels sports decor is great to treat yourself — or to give as a gift that's a sure four-bagger! For your convenience, this piece comes ready to hang with a sawtooth hanger.